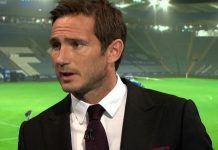 Frank Lampard will undergo surgery this week for a hernia. During the week Frank had felt pain but the medical department had managed the problem, however, when Frank felt pain during the game and was substituted the decision came for Frank to have surgery. He will now miss England’s games against Bulgaria and Switzerland. You can read Lampard To Have Surgery here. JT is also another player who has injury problems and will miss England’s games against Bulgaria and Switzerland. Our captain spoke to the England management team on Saturday and our own training camp and all came to the conclusion that JT currently needs a rest. The link Terry To Miss Internationals can be read here. On Saturday the draw for the third round of the Carling Cup was made. Chelsea play at home to Newcastle United at Stamford Bridge on either the 21st or 22nd of September. The full draw can be found at All Premier League Tie In Carling Cup the full draw can also be found by clicking the link. Keep checking back on regular occasions for more Official Line.